Problem – Fed up looking for Spare Parts ? 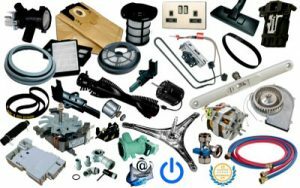 We stock and supply a comprehensive range of spare parts for all makes of domestic and commercial appliances. To ensure a speedy service please have the relevant make and model number of your appliance available and our fully qualified team will check for the spare parts you require. Spare parts purchased can be collected or optionally delivered to your home or workplace by courier service for your convenience. 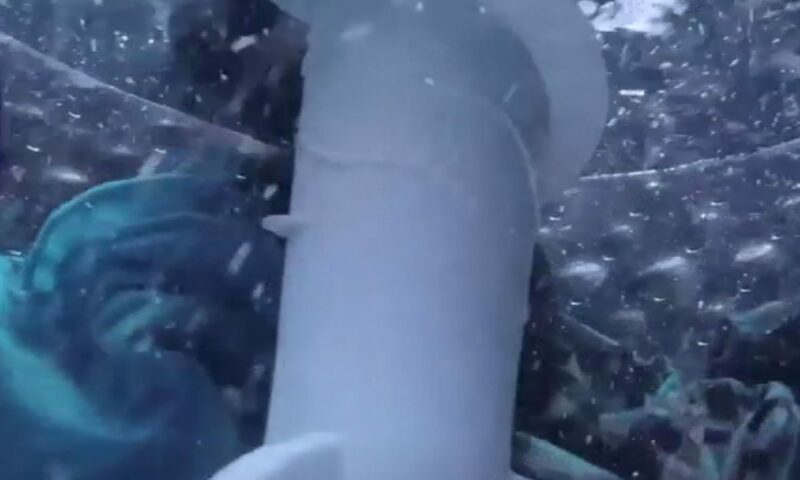 Please note that delivery of some bulky or fragile parts may not always be advisable. Spare parts should always be fitted by a suitably qualified person due to the risk of injury or electrocution. If you live in greater Dublin and would prefer to have an engineer inspect and estimate the repair cost for your appliance click here. As well as stocking the most appliance service parts, WMC are authorised parts agents for all of these major brands. We have direct access to their Europe wide parts and accessory systems which usually enables next day delivery to Dublin. You can send us a picture, part number, appliance serial number and we will search our database to correctly identify the correct part of your machine. Key to locating any spare part is to have as much information about the host appliance as possible. 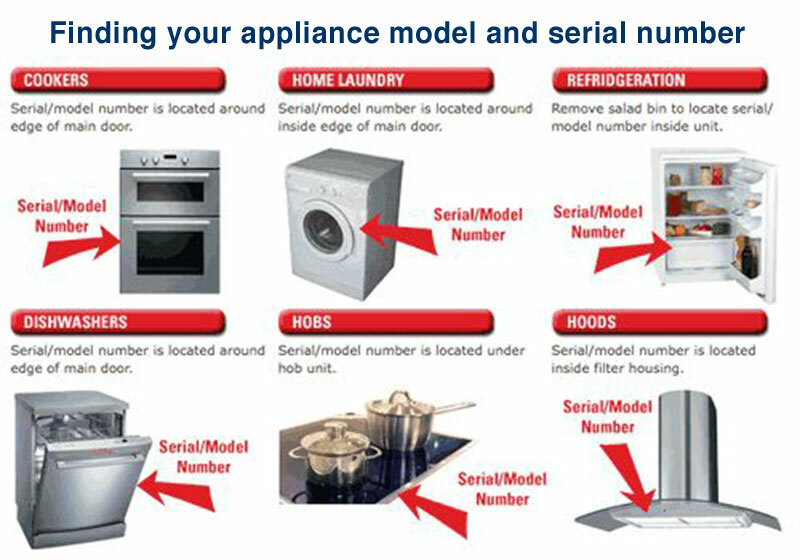 Make and Model Number of the appliance. Usually visible on the machine body or rating plate. PNC or Serial Number of the appliance. This is important because manufacturers update these when they change the design or components of any given model. If the appliance is more than 10 years old this can be vital in order to find for the correct spare part for your exact appliance. Our trade experience and inside knowledge of appliances give us the leading edge on your behalf after over 40 years in business. We can advise on and supply spare parts for your Washing Machines, Dishwashers, Tumble Dryers, Cookers, Refrigeration, Vacuums and Microwave Ovens. A member of the spare parts team will be glad to assist you with any queries you have and will endeavour to help you purchase the correct spare part to suit your requirements. Many of our customers are based in rural areas and we understand that this often creates difficulties, as well as fulfilling their need to accurately locate the required parts we also to arrange delivery by the courier company that suits their location. If you need your spare parts delivered we provide a next working day courier delivery service to your home or workplace. Just let us know your preference and we will advise on the best way to get your parts delivered, quickly and in one piece.